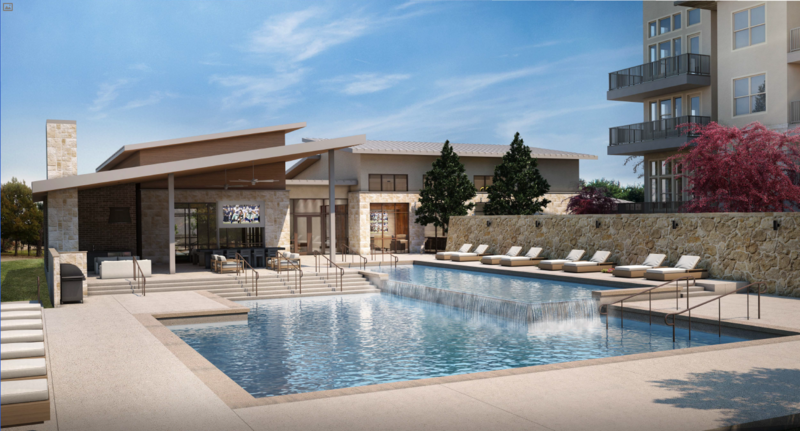 Edison at Frisco Apartments is a 257-unit Class A multifamily development that's under construction at Preston Road and Eldorado Parkway in the fastest growing city in the country: Frisco, Texas. 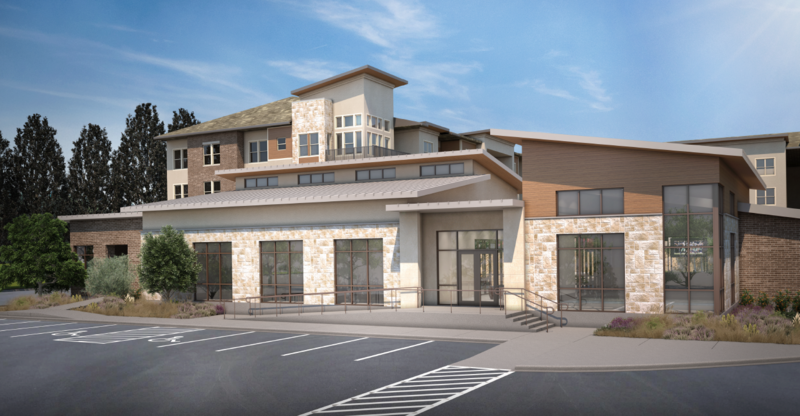 The heavily wooded 13.52-acre site is one of the last remaining surface-park sites available in Frisco as the municipality shifts its focus to permitting only higher density, structured parking projects. The property is in close proximity to a variety of dining & entertainment, several major highways and thoroughfares, and major employment centers. The site offers future residents effortless access to the Dallas North Tollway, roughly two (2) miles west of the site on Eldorado Parkway. 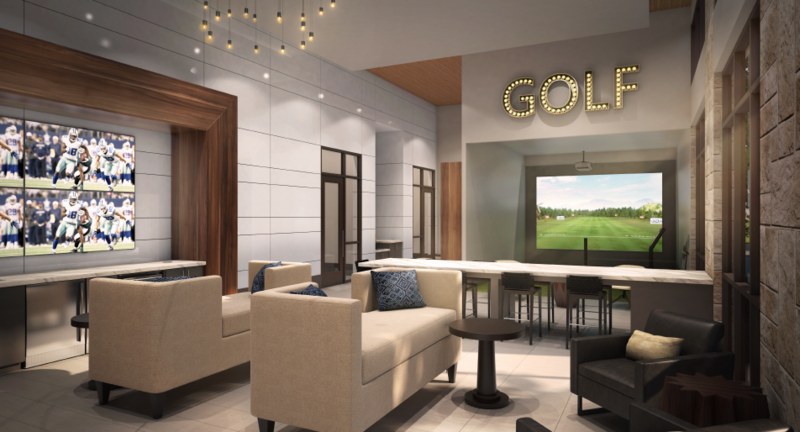 Conveniently located at two major thoroughfares, the site also offers future residents a variety of retail and lifestyle amenities along the Preston Road Retail Corridor in addition to Frisco’s “5-Billion Dollar Mile” being just a 5-minute drive from the site. Backing up against a small wooded stream, the surface parked property will consist of 257 luxury apartment homes tucked away beneath a sprawling canopy of tall trees. 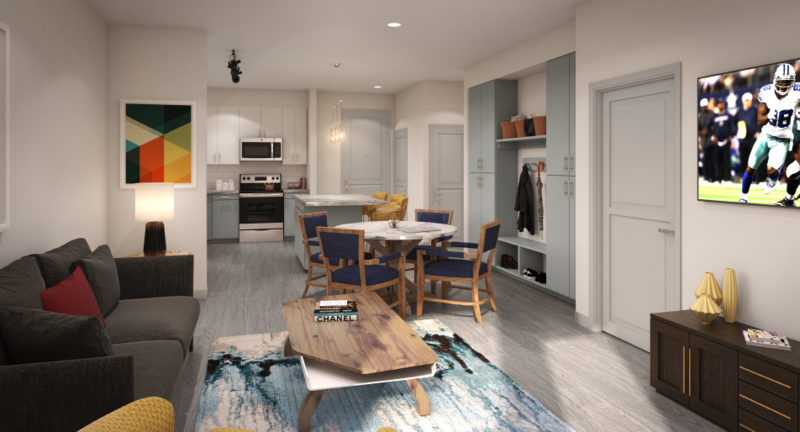 The property will offer a variety of floor plans, which will range from 686 square foot one bedrooms to 1,782 square foot three bedrooms, with an average unit size of 984 square feet. 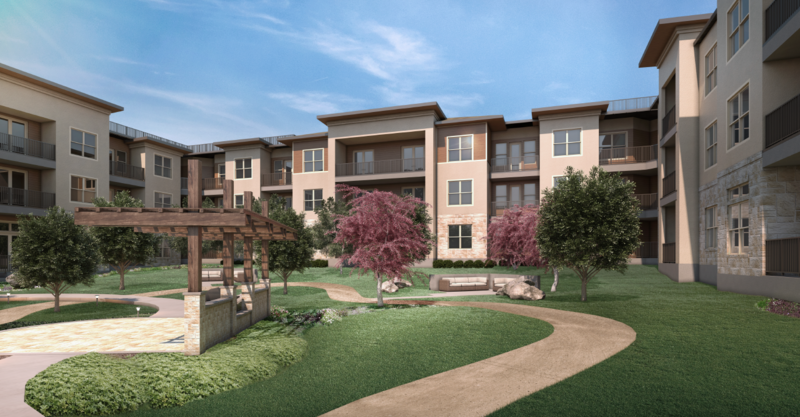 The unit mix for the property is designed to have 51% one-bedroom units, 7% one-bedroom units with dens, 39% two-bedroom units, and 3% three-bedroom units. The property’s units will be equipped with stainless steel built-in-style appliances, side-by-side refrigerators with water/ice dispenser, Ceran top cooking ranges, washer/dryers in every unit, custom cabinetry, granite countertops, tile backsplashes in the kitchen, hardwood-style flooring, urban mud rooms, large kitchen islands or wrap-around bars, private balconies or patios, and direct access garages for select units. The property is scheduled to open in July 2018.